Spain is known for its tradition of bull fighting. 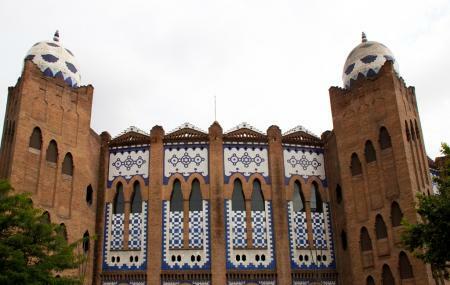 La Monumental in Barcelona was established as the world’s only Art-Nouveau bullring in 1914. Although bull fighting as a sport was banned in 2011, this place continues to serve as a museum that displays a collection of historic matadors’ costumes from 1726 to the present day. Along with that, there is also an enticing collection of vintage posters advertising bullfights, old photos, statues of famous matadors and bullfighting paraphernalia. Although the tradition seems to be fading away from the modern world, there is still some historicity of bullfighting that one can observe here. The exhibits in the bullfighting museum are labelled in English, Spanish, French and German. How popular is La Monumental? People normally club together Barcelona Egyptian Museum and Sagrada Familia while planning their visit to La Monumental. Feels very surreal, but wonderful and reminiscent experience of the olden days. Allowed to walk freely around the stadium and on the centre. Museum is very informative and well laid out, gift shop is small but has a lot to offer. Very cheap for all that you get if you're a bull riding enthusiast. I absolutely loved this unique building. I'm glad they don't use it for bull riding and whatnot anymore. It's near the famous cathedral so you should certainly take a moment to appreciate this architectural marvel. You won't see much else like it. It's a brief stop to pass by, but definitely worth it. We always wanted to visit a bullring. This one is definitely worth to see. The old arena with interesting museum. Tickets are cheap - 6€ per person. Least popular tourist spot. Some creepy feel.